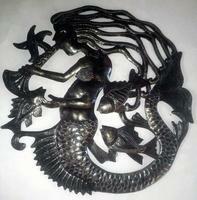 Metal sculpture of mermaid and fishes. 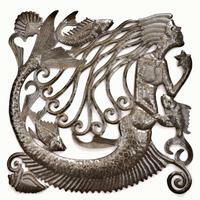 Mythical creature. Size 38x16cm.